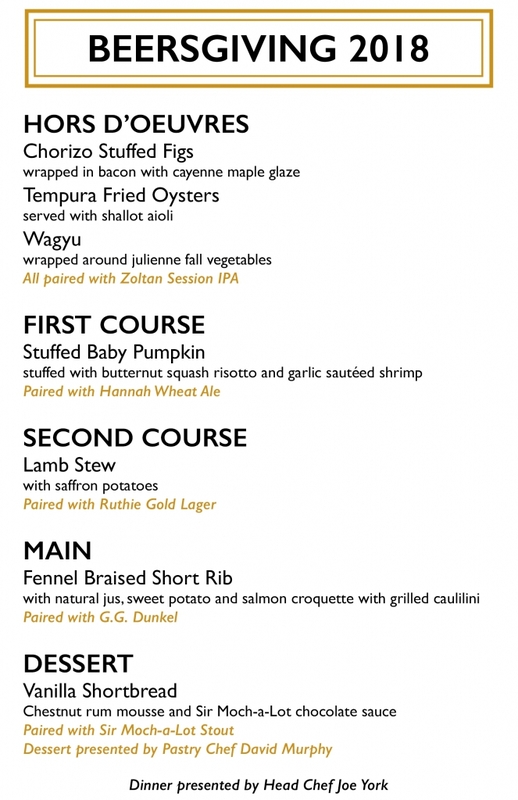 Beersgiving | Exile Brewing Co.
Join us for a twist on the classic Thanksgiving dinner! Rejoice in craft beer all while pairing it with delicious food. Our head chef, Joe York as designed a 4-course meal accompanied by appetizers before we even dive into the meal! You will be lead on a private brewery tour (PLEASE WEAR CLOSED TOED SHOES) with food and drinks to follow! Price includes tour, tulip to take home, all beer and food plus gratuity!